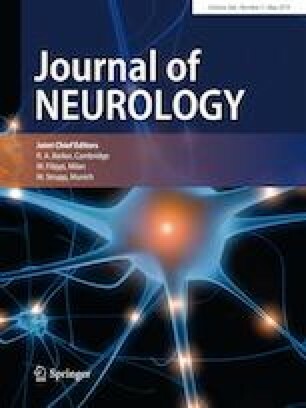 To characterize patterns of language lateralization in a right-handed woman with nonfluent/agrammatic primary progressive aphasia (nfvPPA) clinical picture despite showing a prevalent right-sided brain damage. We report a case of a 58-year-old woman with nfvPPA diagnosis (age at onset = 55) previously described as a crossed aphasia case with progranulin mutation. At 2 years from the first visit, patient underwent 3DT1-weighted and a task-based functional MRI (fMRI). During the fMRI task, she was asked to perform a letter fluency test as the task of interest and to count forward as the control condition. Image processing and data analysis were performed using SPM12 and the effect of each task was tested at p < 0.05 FWE corrected. The structural MRI confirmed a widespread right fronto-temporal atrophy mainly involving the right inferior frontal gyrus. During the letter fluency task, we observed an increased activation centered at the right inferior orbitofrontal gyrus and right middle frontal gyrus. By reducing the threshold, the pattern of functional activation was still dramatically prevalent at the right side. We provided evidence of the right language lateralization in a previously suspected crossed nfvPPA. Despite the long disease duration and the large amount of atrophy at the right side, there was no fMRI evidence of a left-hemisphere contribution to language function. We might speculate that compensatory effects do not appear when the premorbid language lateralization is purely right. The investigation of the underlying functional brain substrates in crossed nfvPPA cases may help understanding disease vulnerability in these neurodegenerative conditions. Elisa Canu and Valentina Bessi contributed equally to this work. The online version of this article ( https://doi.org/10.1007/s00415-019-09298-w) contains supplementary material, which is available to authorized users. This study has been supported by the Italian Ministry of Health (GR-2011-02351217). E. Canu has received research supports from the Italian Ministry of Health. M. Leocadi, V. Bessi, S. Padiglioni, B. Nacmias, S. Sorbi report no disclosures. M. Filippi is Editor-in-Chief of the Journal of Neurology; has received compensation for consulting services and/or speaking activities from Biogen Idec, Merck Serono, Novartis, and Teva Pharmaceutical Industries; and receives research support from Biogen Idec, Teva Pharmaceutical Industries, Novartis, Merck Serono, Roche, Italian Ministry of Health, Fondazione Italiana Sclerosi Multipla, and ARiSLA (Fondazione Italiana di Ricerca per la SLA). F. Agosta is Section Editor of NeuroImage: Clinical; has received speaker honoraria from Biogen Idec and Novartis; and receives or has received research supports from the Italian Ministry of Health, AriSLA (Fondazione Italiana di Ricerca per la SLA), and the European Research Council. This study has been approved by the local ethics committee and has been performed in accordance with the ethical standards laid down in the 1964 Declaration of Helsinki and its later amendments. The patient gave her informed consent prior to their inclusion in the study.